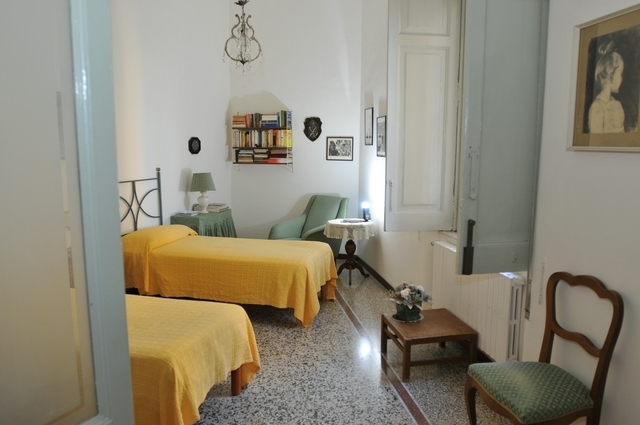 The Bed and Breakfast La Concordia in the heart of Naples is located on the third floor of a newly-restored XIX century building, in a little square named Concordia. 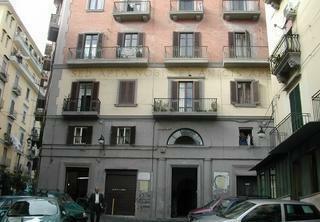 La Concordia has got three bed-rooms with private bathrooms – daily cleaning and taxes are included in the tarifs. Neapolitan or International breakfast is prepared à la carte, considering any religious belief. The rooms are large and comfortable – Both bathrooms are fully furnished – one has got a tub and the other one has got a shower. 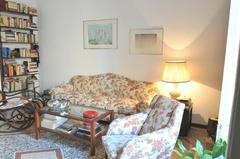 The living room has got a sofa, a rocking chair, a couple of tables, the TV set and CD player. There are books all around in Italian, English and French. The kitchen is the “reign” of the landlady who wakes up very early to prepare the flavoured breakfast for her guests. What to see & do : You can reach on foot the city sight-seeing buses, close to Maschio Angioino, the harbour to leave all year long for one of the three islands in the gulf of Naples – namely Capri, Ischia and Procida ; still walking , you can visit Palazzo Zevallos Stigliano, the house of last painting by Caravaggio – the martyrdom of Saint Orsola , San Severo Chapel with the famous veiled Christ, Santa Chiara Church , San Lorenzo and so on. Come to Naples any day during the month of March 2012 and you will have an anticipation of your Easter egg: sleep two and pay for one , meaning two people at BB La Concordia paying only Euro 350,00 all included. This offer is valid only March 2012.